Smith Custom Woodworks is AMAZING!! This custom design exceeded my expectations. I will definitely order ALL of my custom wood pieces from Smith Custom Woodworks and I will tell others to do the same. Thank you so much! Wooden table lap made from read oak and pine. 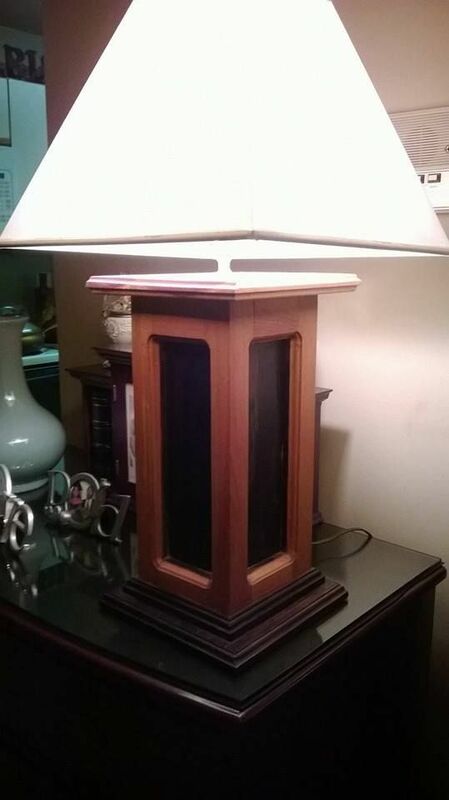 Lamp has a two tone stained finish. Every maker has a story. Be a part of Smith Custom Woodworks's story by placing an order, leaving a review, and seeing your review appear here.